My goal is to work with you to help identify exactly what you wish to get out of your interior. and ensure that together we make your home reflect your individuality and tastes, whatever your budget. All consultancies start with a free 30 minute meeting to discuss your project on location. 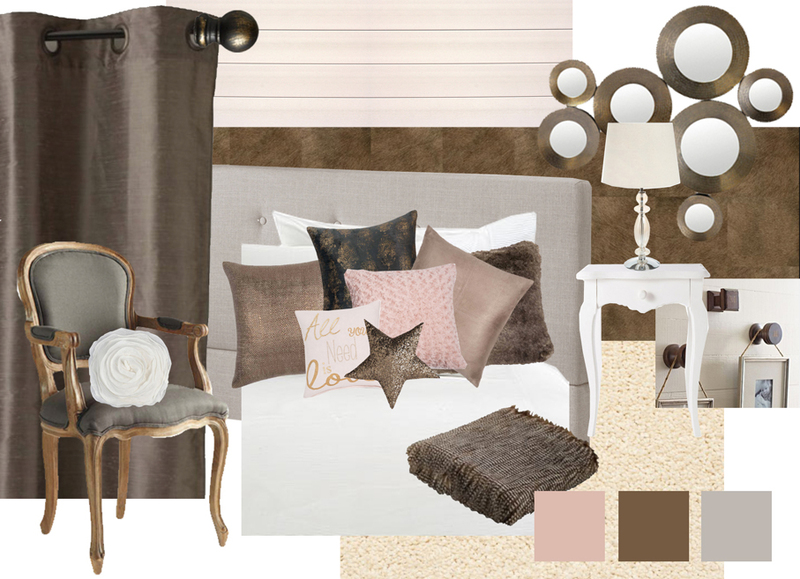 Moodboard - A Moodboard is a visual melting pot designed to convey the look and feel of the space in question. It is the bedrock tool which you can use going forward to ensure your design stays ‘on-track’ when taking decisions concerning your interior. It will ensure your room style remains consistent down to the finest detail. Sampleboard - A Sampleboard is used to present to you suggestions of materials (e.g. flooring, wall treatments), textiles, lighting, soft furnishings and furniture where necessary, for each room you would like to redesign. 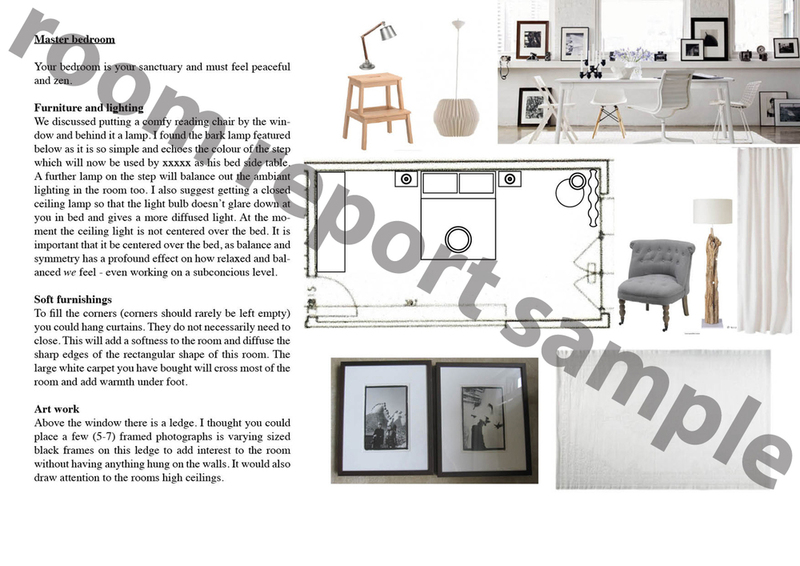 This work is supported by a document which lists suggested links to all the items featured on the Sampleboard. Room Report - A Room Report is a tailor made analysis of a space. After a home visit and working from your brief, I will make suggestions of how you can modify or enhance features of the area(s) in question. A Room Report can contain proposals for lighting, colours as well as suggestions for soft furnishings, furniture and materials so that you can complete the look and feel you desire for any given room. 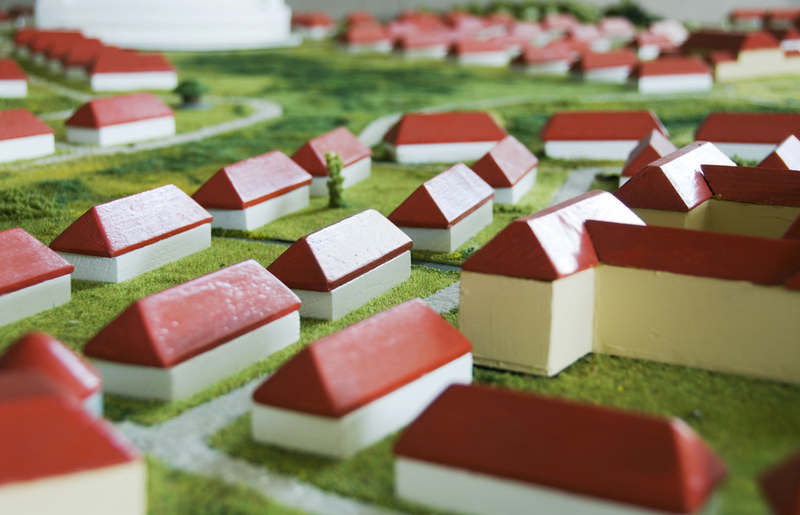 Home layout - I can assist you with decisions concerning the allocation of space in your home. Working with builders and architects (where necessary) I can give you ideas, support and help you in taking decisions to ensure you feel you have explored all options and are are on the right path to creating your dream home starting with the design process until completion of the work. Lighting - One of the very basic things which can alter the way you feel in your home is how you illuminate each space. Ideally you would work on the lighting plans before your house was built, however, using task, accent and functional lighting intelligently we can completely alter any atmosphere at any given moment. Personal Shopping - Going shopping can be intimidating. There are so many options from which to choose. During a Personal Shopping morning or afternoon I can help facilitate and guide you in your choices, making it a less daunting and a more fruitful, enjoyable experience. Homestaging - Homestaging is the visual optimisation of the home you are looking to sell. By using simple techniques to neutralise and simplify the decor, more people are able to project themselves living in your home. By increasing the appeal of your home to a greater number of buyers, effective homestaging reduces the amount of time a property spends on the market and for an average investment of 1% (of the value of the house) the Up-value has been known to reach over 12% of the asking price. Home seeking - If you are looking to buy a home and would like an un-biased opinion regarding the potential of a property that you have shortlisted, it would be my pleasure to aid you in visualising how it could meet your lifestyle needs and desires during an on-site walk through.